The markings over Windy’s eyes are called “points”. She also has tan markings on her paws and tail. Even though Windy and Jake are the same breed, their personalities are different. Jake is more outgoing, Windy sedate. Jake can demand with a strong bark what he wants: treats, walks or attention. Windy, however, makes eyes at you while placing her paw on your leg or arm. 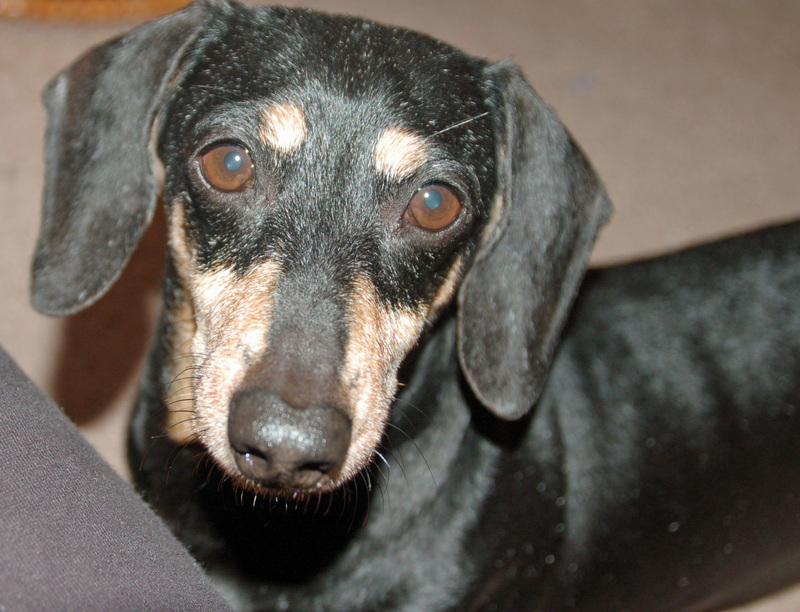 Generally dachshunds are of good temperament, playful, smart and courageous. Even though my puppy mill girl, Hope, a schnauzer, has her problems, Jake and Windy accept her as she is and have taught her a great deal. This entry was posted in Dachshunds, Dog Behavior, Puppy Mills, Schnauzers and tagged Dachshunds, Dog Behavior, puppy mills, Schnauzers. Bookmark the permalink.